David Ginola | NUFC Blog. Archive for tag: David Ginola. Naughty boy! Kicking Dennis Wise in the chest. Well after Worky posting that wonderful photo of one of my all time favourite players, I felt we couldn’t leave it at that. 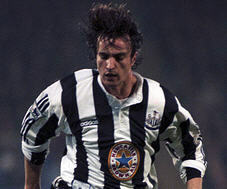 So, being a little indulgent, I wanted to share with you my reminiscences of a great Newcastle United footballer (and gorgeous guy), one of the best exports to make it out of France: David Ginola. Toon seek French flair and goal poacher? In contrast to Chris Hughton’s recent statement that he was more than happy with the squad he has leading into the festive period, it’s being reported that Newcastle are interested in signing what be the latest in a line of French wingers. Apparently following in the footsteps of David Ginola and Laurent Robert, Fabrice Pancrate could be joining us if rumours are to be believed. The reports are coming from France Football, who are generally well regarded in the game with regards their information. Basically, they won’t mention it unless there’s any truth in it. Of course they are some French boots to fill as both Ginola and Robert offered something unique and exciting to the team. Admittedly, I don’t know anything about this fella but he’s described as a striker/attacking midfielder. He’s currently out of contract after his deal ran out at Paris St Germain, although he’s still training with them. He’s had a loan spell at Real Betis and is apparently being pursued by a number of French and English clubs. He was pursued in the summer by Portsmouth, Everton, Sheff Utd and Burnley. He’s a superstar and he comes from France! Former Newcastle United star David Ginola has been talking about what it means to pull the black and white shirt on. “When I signed for Newcastle I didn’t know the English mentality, I didn’t know about the English tradition and I came straight away to the North East – and its one part of the world that is even different from the rest of England,” said Ginola. “My main concern was to see the involvement of the players in the club. When you wear that zebra shirt, it’s a whole tradition behind you. Anyway, no sense in transcribing the whole interview here. You can read it on Sky Sports. 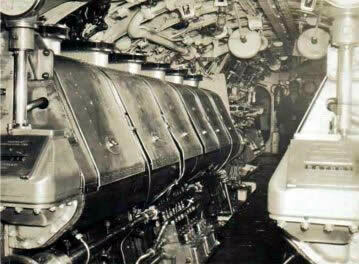 What do we think of the Newcastle engine room? Yesterday’s review of the current squad, took a look at the Newcastle defence, an area that this season we’ve been surprisingly strong in, given our poor reputation in recent years. Tonight looks at arguably the fulcrum of a successful team, the midfield, the place that could and should control a game and dictate the style of play. That doesn’t bode well for our side at the moment because arguably, we have a midfield full of players who are very similar and lack pace. Therefore, the pace is often pedestrian and the game often goes stale. Looking at the current crop, it really makes you pine for some of our former midfielders who have graced the hallowed St James’ turf in the last couple of decades. Reminisce about the grace of French wingers David Ginola and Laurent Robert. Recall the guts, determination and drive of Robert Lee and Gary Speed. Consider the guile we had in Emre, albeit fleetingly, and the sheer brilliance of Nobby Solano. Even having pure pace ala James Milner, Keith Gillespie to worry the opposition. You can even look at some of the less popular characters. We would kill for the pace of Kieron Dyer and dare I say, I could forgive Jermaine Jenas. Possibly even Damien Duff is a big miss? Maybe that’s stretching it…..